Forklift License in Connecticut: Training Schools and Salary - Be Certified Today! Forklifts are a common piece of heavy equipment used in many different types of industries primarily to lift and transport heavy loads. But this equipment can be deadly if handled improperly by an untrained operator, they require due diligence for safe operation. Forklift safety training is important, without this, the operator can become an immediate threat to himself and other employees in the workplace. The safety training is a basic process and easy to take. It doesn’t cost a lot of time and effort to finish. In just as short as 8 hours the training can be completed. At the end of successful training, the student will be issued with a certificate and an operator card as confirmation of being certified. They refer to it as a forklift license. This credential is what you need in order to work with a forklift. Getting a forklift license in Connecticut is necessary. If you are an individual, having such qualification can put you easily on a job. If you are an employer, having your workers certified to have this can definitely save you from a lot of headaches. There’s no reason why shouldn’t train to get a forklift license. This is the primary reason why we came up with this guide. We would like to help you obtain such a qualification. Find a school or training school that offers a forklift training course. 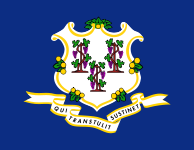 The list of schools in Connecticut is below where you can refer to. Enlist for a training course. Enrolling in the training does cost some amount of money, how much? It will depend on the duration of the training course you need. It usually costs around $100 or less. Attend the classroom training. The training consists of formal lectures and interactions. The trainer will give lectures in power-point presentations and video showing. There will also be a trainer-student discussion just to make sure that every student is participating in the class. Take the written test. The trainer may administer a written test in a certification class. The test questions could come up in many forms, depending on what the trainer wants. The written test could have multiple choices, true or false, or mixed questions. You need to pass the test with 80% passing rate, the passing grade varies depending on the standard. Here’s a guide on how to pass the written test. Do the driving exercises with the forklift. This is what they refer to as practical training. You will demonstrate what you’ve learned from the classroom by doing driving exercises or hands-on operation, the trainer oversees your performance. You will perform different tasks such as loading/unloading, lifting loads, transporting materials, maneuvering in tight spaces, picking loads from the rack, etc. Get your skill evaluated. The most important part of the certification course is performance evaluation. This is where you will exhibit your actual skill operating the forklift. The trainer will give you sets of instructions and a series of activities to complete. Make him satisfied with your performance driving the forklift, you will be guaranteed of passing this test. Here’s a guide on how to pass the practical test. Receive your credentials. After course completion, the school will issue your certificate of training and/or operator license card. These are proofs you can present to your employer that you have been certified. The employer may take a copy of these documents; the original copy will be yours to keep. The certification has a 3-year validity. You need to take recertification every three years to make a renewal. How Long Will the Forklift Training Be? Is Online Forklift Training Suits Your Need? When Do You Need Forklift Retraining/Refresher Course? What Are Your Work Responsibilities and Description? How to Become Certified to Drive the Fork Truck? Where Can You Take the Forklift Training? What are the Requirements For Taking the Training? You can READ this guide to choosing the best forklift training school. You can take forklift training from school in the neighboring state of Massachusetts, and apply for work in Connecticut. Can You Use Your Forklift License to Get Work in Other State? Can You Use Your Forklift Certificate to Apply for Work in Other Country? Can You Be Employed in Other Company Using Your Forklift License? Operator certification that stresses out the importance of safe forklift driving at the workplace. This course is given to a new operator or experience ones during recertification. The course involves formal education and actual operation. Train-the-Trainer Program – This is for on-site instructors who want to upgrade competency to be able to certify other forklift operators at the workplace according to the training standards laid down by OSHA. According to US BLS, there’s a constant demand for qualified forklift operators in this state and will continue to go up in the next coming years. How to Provide Cost-Effective Training to Save Money? Why is Onsite Forklift Training is the Best Method for You? How are Operators Being Trained to be OSHA Certified? Workers are Injured at Work, Are You Liable? Do Employers Need to Supply Forklift Training for Each Type and Model? Andover, Ansonia, Ashford,Avon, Barkhamsted, Beacon Falls, Berlin,Bethany,Bethel, Bethlehem, Bloomfield, Bolton, Bozrah, Branford, Bridgeport, Bridgewater, Bristol, Brookfield, Brooklyn, Burlington, Canaan, Canterbury, Canton, Chaplin, Cheshire, Chester, Clinton, Colchester, Colebrook, Columbia, Cornwall, Coventry, Cromwell, Danbury, Darien, Deep River, Derby, Durham, East Granby, East Haddam, East Hampton, East Hartford, East Haven, East Lyme, East Windsor, Eastford, Easton, Ellington, Enfield, Essex, Fairfield, Farmington, Franklin, Glastonbury, Goshen, Granby, Greenwich, Griswold, Groton, Guilford, Haddam, Hamden, Hampton, Hartford, Hartland, Harwinton, Ebron, Kent, Killingly, Killingworth, Lebanon, Ledyard, Lisbon, Litchfield, Lyme, Madison, Manchester, Mansfield, Marlborough, Meriden, Middlebury, Middlefield, Middletown, Milford, Monroe, Montville, Morris, Naugatuck, New Britain, New Canaan, New Fairfield, New Hartford, New Haven, New London, New Milford, Newington, Newtown, Norfolk, North Branford, North Canaan, North Haven, North Stonington, Norwalk, Norwich, Old Lyme, Old Saybrook, Orange, Oxford, Plainfield, Plainville, Plymouth, Pomfret, Portland, Preston, Prospect, Putnam, Redding, Ridgefield, Rocky Hill, Roxbury, Salem, Salisbury, Scotland, Seymour, Sharon, Shelton, Sherman, Simsbury, Somers, South Windsor, Southbury, Southington, Sprague, Stafford, Stamford, Sterling, Stonington, Stratford, Suffield, Thomaston, Thompson, Tolland, Torrington, Trumbull, Union, Vernon, Voluntown, Wallingford, Warren, Washington, Waterbury, Waterford, Watertown, West Hartford, West Haven, Westbrook, Weston, Westport, Wethersfield, Willington, Wilton, Winchester, Windham, Windsor, Windsor Locks, Wolcott, Woodbridge, Woodbury, Woodstock.